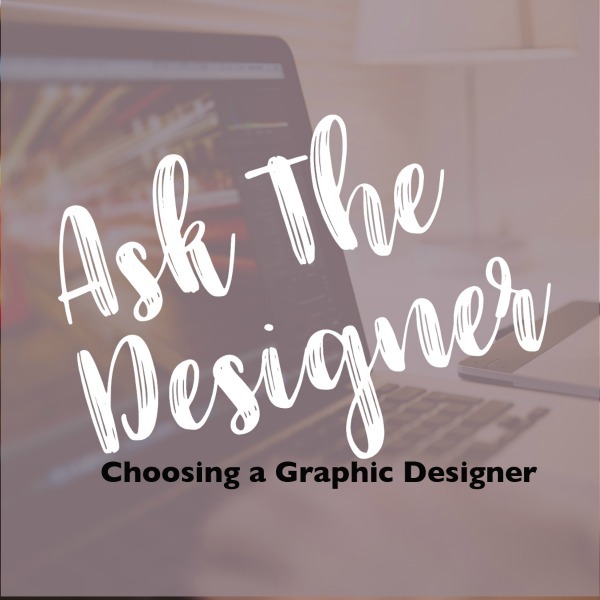 “How do I choose a graphic designer?” It’s a question I get asked often by friends and colleagues. There is no right way to do this. I can’t give you three easy steps and -voila- you’ve got a designer you love. Choosing a designer is a pretty personal thing. It’s important for you as the client. You want to work with someone who can fill your need and provide you the outcome that you’re expecting. The client-designer relationship is also important for the designer. I won’t speak for other designers, but for me, I want you to love working with me and to love the work I provide you. There are lots of ways to make this type of choice, but here are the recommendations I give to my friends. Look over their website and especially their portfolio. Keep in mind the type of work you need done while you’re doing this. For most artists and graphic designers, their portfolio is where they share all their best work. If the style of the work shown matches what you need done that’s great. Some designers can design to multiple styles, while others prefer to stick to just one style. Personally, I do my best to create work in multiple styles. Many designers have their portfolio cut into sections based on product, others have everything listed together. Don’t expect to see every single piece of work this person has done. First off, it’s not practical. Most designers, especially if they’ve been at it for a few years will have a lot of past work. Secondly, not all companies welcome the idea of sharing the work the designer did for them. For example, I have done several pieces for web and application development companies that I can’t share because of non-disclosure agreements. Check to see if they are a specialist. Quite a few designers choose a market they like, or types of products they prefer and they cater to those industries. Many designers are also classically trained artists and illustrators, while others aren’t. I’ve met designers that only do business marketing products like business cards and flyers and ones that only do invitations and stationery. I’ve met designers that only work with a specific industry such as beauty products or real estate. Personally, I like having the flexibility to serve many types of customers, which is why I chose to do many different types of products. Call them up and ask all your ques tions. Most designers I’ve met, myself included, are completely happy to answer your questions about their services. I would recommend asking about their policies and contracts. It makes sense to not only understand how much you are spending, but expectations in delivery of proofs and the making of payments. If you have a very specific need, definitely make that known when you call or email them. For example, I have had previous clients that needed work done in two languages. We discussed the fact that I’m monolingual, but I was willing to design in a second language if they provided the text for me, which they did. The design came out beautifully and the client was happy. Personality Compatibility. If you are just doing a one-time project with no chance of repeat, or have an ‘emergency’ project to complete, then this guideline isn’t as critical. 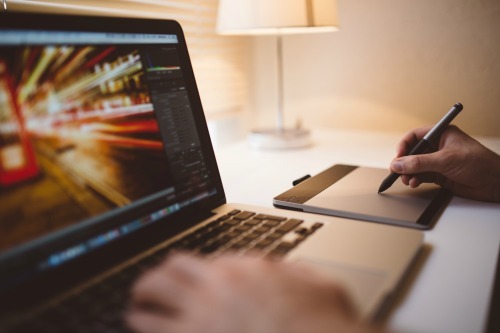 If you are planning on doing a lot of projects with one designer, or are thinking of putting a designer on retainer, or a work-for-hire contract, commonly referred to as a 1099, this actually matters. It matters because you want someone you can work with easily. My best clients and favorite projects always stem from compatibility in personality. I believe that stems from the ability to communicate effectively with each other. For example, one of my very first jobs was for a bicoastal jewelry and accessories company. I frequently had calls with their head of marketing who was based on the east coast of the United States. I have family with east coast roots and I can tell you that the communication style and pace of life is very different on the east coast versus the west coast. To another designer they may have seemed demanding, blunt and maybe even rude, but for me it was very easy to understand what they wanted and when. I worked with them for a long time and they’ve always had nice things to say about me to others. Now that you have my recommendations I hope you have an easier time choosing a graphic designer. The bottom line is this: it’s important that you feel comfortable with the designer you choose and like the work you receive from them. If you’re in need of a graphic designer in Orange County for your next project, I’d love to help you out. Take a look at my portfolio and contact me today!